French postcard postmarked 1915 of a ruined tower mill supposedly on the Route d'Anetz near Ancenis. 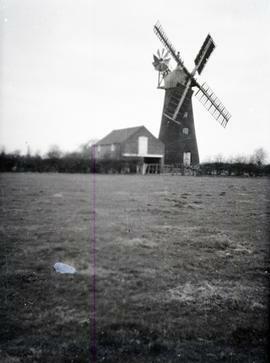 The location of the mill was redacted by the British Army Field Post Office. 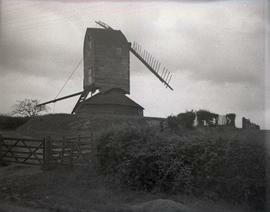 The location of this mill has been redacted by the German feldpost. German postcard showing two French mill sites, a mill in Saint-Soulet that was destroyed during WW1 and the mill pond at Auberive.